Puerto Rico is still very much recovering… and hurricane season is about to hit again. “Imagine Donald Trump sitting in the Situation Room, making life-or-death decisions on behalf of the United States,” Hillary Clinton said in a June 2016 speech. Well, we don’t have to imagine anymore. All we have to do is look at the bungled, delayed, and sometimes outright cruel response to the humanitarian crisis in Puerto Rico after Hurricane Maria. Puerto Rico, officially known as the Commonwealth of Puerto Rico, is an unincorporated territory of the United States. Archaeological expeditions have shown that at least three native cultures thrived on the island before the arrival of Christopher Columbus in 1493. Columbus and fellow explorer Juan Ponce de León claimed the island for Spain. From the 16th century onward, Puerto Rico became a strategic base in a power struggle for control of the Caribbean. The Spanish constitution of 1812 declared that Puerto Ricans were no longer colonial subjects, but Spain still maintained an absolutist government led by a captain general. During the Spanish-American War, U.S. forces took over the island and established military rule for two years. 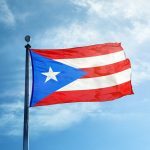 Civilian government was restored in 1900, and in 1917 Congress granted U.S. citizenship to Puerto Ricans. To this day, there is debate in Puerto Rico over whether the island should become a U.S. state or declare independence from the United States. Regardless of that debate, it should be remembered that Puerto Ricans are American citizens, statehood or no. How many of those “natural causes” were due to diseases and illnesses that could not be treated due to a lack of medical, road, and public utility infrastructure? Experts are looking into statistical mortality data in Puerto Rico and planning to interview family members of the dead and investigate medical records of those who died in order to get more answers. Puerto Ricans were still recovering from Hurricane Irma when Hurricane Maria hit. With that one-two punch, the island’s vital infrastructure was destroyed, along with many residents’ homes. The disaster should have gotten an immediate response from the government. Instead, what Puerto Rico got was a ridiculously slow response from a White House that hadn’t done much of anything to prepare for the hurricane and its impact. The Federal Emergency Management Agency barely responded to the humanitarian crisis that was unfolding until weeks after the hurricane hit. Once FEMA did react to the disaster in Puerto Rico, the agency contracted with a wedding caterer—yes, you read that right, a wedding caterer—to deliver 30 million meals to the island. As you can probably imagine, that didn’t end well. By the time the government terminated the contract in October 2017, the caterer had only delivered 50,000 meals, and they were not in the self-heating packets specified by FEMA. So, while Puerto Ricans could barely find clean water and decent food, and Puerto Rican hospitals couldn’t do much to help patients, even those with critical illnesses and injuries, a wedding caterer was rounding up an array of tiny companies to help with FEMA’s huge contract. And the vast majority of the island was without electricity for months. 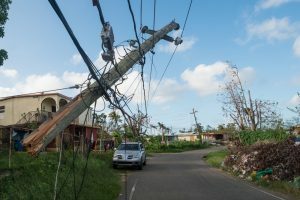 Even now, islandwide blackouts continue to happen as Puerto Rican utilities and contractors from the mainland attempt to restore Puerto Rico’s power grid. But President Trump was so busy congratulating himself on his response to the crisis and playing the victim when journalists spread the word about what was really happening in Puerto Rico, that he forgot to be Commander in Chief and leverage America’s resources for an island full of American citizens. Puerto Rico’s humanitarian crisis in Hurricane Maria’s aftermath is by all accounts a catastrophic failure of leadership by the White House, and no American should forget that.